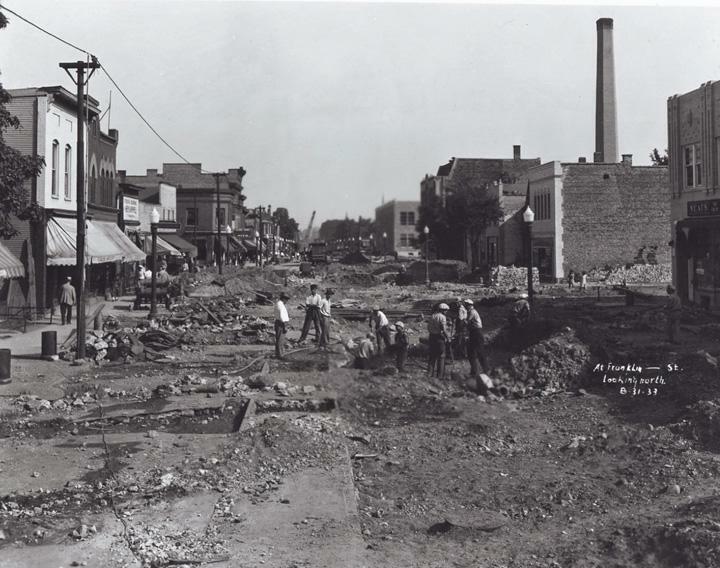 The view looking north on S. Division depicts construction workers during the widening of the street in 1933. Just visible at the far right is the corner of the Russo Building and the doorway that leads to Roma Hall. The photo is dated 8/31/1933.